The HOME BIZ TRENDS Meditation Covers You to Make Your Passion a Home! The Home Biz Trends Cover You to Make Your Passion a Home! Today is your day at the Home Biz Trends Meditation Services in Politics, Business and Love. I promise, this would be your day and you will see that only, when you read this page and the main consulting pages in the Home Biz Trends, or when you consult me for more help. discover your best values to work them in a niche of your own, as you see through the consulting services of the Home Business Trends in Politics, Business and Love. 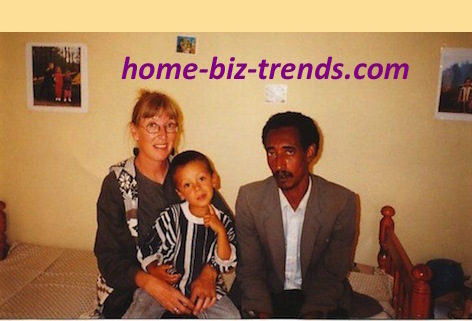 Consulting at the HOME-BIZ-TRENDS.com: Journalists and researchers Khalid Osman and Jenny Street with her son. If you are in a hurry get to the section below the headline: "Relevancy Does Matter to Choose Proper Consulting Services" to connect with us through the consulting service you want, or reach the linked business pages. But, it is certainly very good to go through the Home Biz Trends home page to learn more. It is so beneficial. The more time you spend on this page, the more benefits you get. How Could We at the Home Biz Trends Help You? Welcome, and let us take care of your visit to help you get the full scope through these three collective fields of expertise in politics and society, business and love. Each of the main consulting services here has a page to specify that consulting services accompanied by forms you can fill to request the services you want. You can even use those forms to ask questions, if you were stuck at some points in love, Internet business at home or politics. The collective consulting services in politics, business and love here come with information about every consulting in three main pages on the HOME-BIZ-TRENDS.COM. I support the main pages by some other few pages to make it easier for you to find answers to your business or love questions, before using the consulting services. I offer consulting services, as described at the special pages to help some people acquire more knowledge, solve their problems, and develop their careers or even simple experiences into prosperous life at home. They could actually do that, when they implement the methods I offer. I know, you will agree at the end that those are good consulting services in politics, business and love. Who knows, you may become a good friend, when you go through one of the HOME BIZ TRENDS free Consultation Services in politics, business and love, and send me a global gesture of love. Home Biz Trends: Politics at the HOME-BIZ-TRENDS.com quoted: What happens in Africa reflects dictatorship, religious phobias, tribalism and sectarianism. The secular state is absent in many states. Thought of getting some consulting opportunities to solve some home business problems, love problems, or political problems? You may want a consultant to consult you on how to build a small business, or solve some problems you face while building your home business. Or, maybe you want a consultant to help you solve love problem, or problems in your family, or problems you encounter in the society, or any other problems that happen around you, and they cause some frustrations or make you feel uncomfortable. You may also have some political difficulties while dealing with some regulations that limit one of your fundamental human rights, whether you are a citizen in that society, or a political refugee. Or, maybe you want to understand some political occurrences right, as explained at the HOA POLITICAL SCENE. Today is your day at the Home Biz Trends' Consulting Services in Politics, Business and Love. 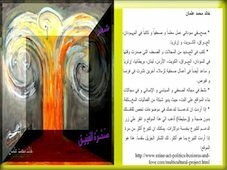 It will be the best choice to read thoroughly not only the main consulting pages, but most of the relevant pages to the Ezine Acts Business, love and politics. So, you get more knowledge about each. 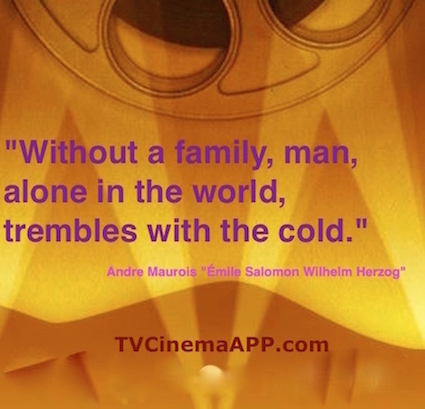 home-biz-trends.com - Home Biz Trends: Emotional quote: Without a family, man alone in the world trembles with the wind. Make a family in addition to yours with us. During my journey as journalist, teacher and activist, as I stated at About Me, and through my personal engagement in some societies and my political engagements with some political systems and revolutionary fronts, I came through so many social and political problems. I managed to solve some of the social problems including love problems, family problems and educational problems, while providing love problem solution here and there. There were economical problems too among these problems, I managed to solve, either by providing good solutions, or by getting funds from some organizations to help people in need. Yes, I heard some people offline saying, I am "a man full of resources". That is because I use these offline resources to help me get things done, even when I help others. I use them also to build a top notch at the HOME BIZ TRENDS making this website trending with this passion, but mainly to grow yours. You can invent and learn a lot from online resources I have here on the Home Biz Trends too. Not just any resources, but resources I have studied deeply to make sure that they are good and promising. 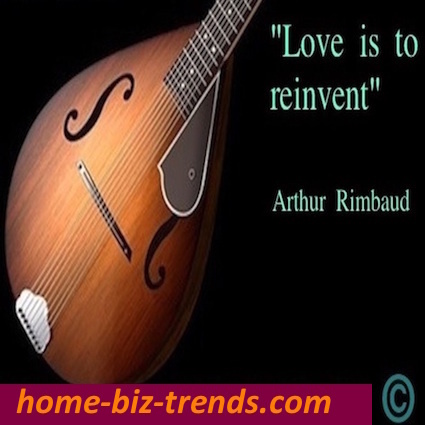 home-biz-trends.com - Home Biz Trends: Arthur Rimbaud's Emotional quote: Love is to reinvent. Reinvent with us. It is like your espresso. What else? Asks George Timothy Clooney. Therefore, I have built good business relations with them. 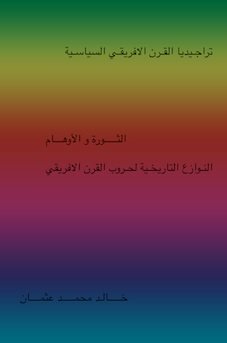 Regarding political conflicts solutions, I wrote papers concerning bordering countries relations and some appeals to the Organization of African Unity before it changed its name to the African Union and after that period. Read more at the HOA Political Scene Blog (the political website). In addition to experiences I have acquired through more than 30 years from my professions, which you can read at the Environment Protection here, I have some knowledge about problems management. I have acquired problems solving skills through my lifetime experiences and through some additional studies at the Centre of Integration and Cultural Backgrounds Studies. Well, while translating one of the labor's proclamations in Eritrea, I even came with some legislative ideas and discussed some articles in the law I translated to influence modifications. Read more at the Political Scene here. So, with such good experiences and such background, I could help you at the HOME BIZ TRENDS to solve your business problems, love problems or political problems, if all are cohesive with the specifications I pointed at the main consulting pages below. 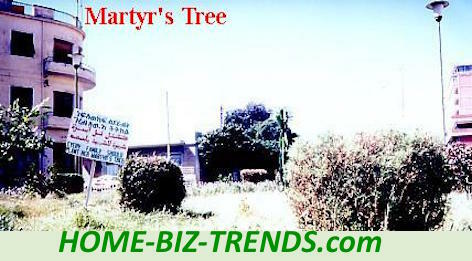 Home Biz Trends Home Page: Meditation at the HOME-BIZ-TRENDS.com: The martyr's tree planted by the Eritrean President through one of the phases of the environmental project I planned. Relevancy Does Matter to Choose Proper Consulting Services! * Online Business Consulting Services, at home-biz-trends.com/online-business-consulting-services. * Online Love Consulting, at home-biz-trends.com/online-love-consulting.html. * Online Political Consulting, at home-biz-trends.com/online-political-consulting.html. Make sure to read the right page on the Home Biz Trends you want throughly and use the proper form to request the consulting service you want. When you decide to use the form, please FOLLOW the GUIDELINES carefully. I neglected so many requests I have received because many people did not follow the guidelines. In addition to highlighting the consulting services of the Home Biz Trends Network and Ezine Act and the Wise Biz Newsletter, there are some important information about narrow niches and love pages beneath to help you understand everything home based business. Moreover, they help you be motivated and inspired, feel love the way you like to feel it... and just put your energies onto things that interest you and please you and yours at home. That would definitely become your home biz trends too trending towards all the pleasures you deserve. Those supportive pages include Business Financing, Choose It, CTPM, Inspirations and Motivations, Make Money, Monetize, the Ezine Acts Optimization and few other pages you can reach through site maps. This would be, really your day. The right place is always important to determine your destiny. You cannot determine it, without preparations to step to it from the right place. And you know what? Get your luggage ready with the needed food for the journey. It all starts here through the consulting supportive pages. * Consulting Question, at home-biz-trends.com/consulting-question.html. * Free Consultation Services, at home-biz-trends.com/free-consultation-services.html. * Love Consulting Services, at home-biz-trends.com/love-consulting-services.html. * Online Free Consulting, at home-biz-trends.com/online-free-consulting.html. This is part of the offline consultancy pages at the Ezine Acts Offline Businesses. * Online Free Consulting Services, at home-biz-trends.com/online-free-consulting-services.html. * Political Consulting Services, at home-biz-trends.com/political-consulting-services.html. * Small Business Consultancy, at home-biz-trends.com/small-business-consultancy.html. See how it dances and how I control this wild horse! Heck, I dance with it too. Keep the sense of humor burning. The Site Maps of The HOME BIZ TRENDS Including Consulting Services! Ezine Act's Site Map Six - Love. with its extension into Love Consulting Services and ﻿Ezine Acts Love Commentaries, Ezine Acts Love Entries, Ezine Acts Love Stories and Ezine Acts Sentimental Stories﻿. If you found the consultation services of the "Home Biz Trends" useful, please like, or tweet it to Twitter, pin the pictures and share the HOME BIZ BLOG with your social media network and the other services you see on the small buttons. Thanks. You can have the books at Lulu. 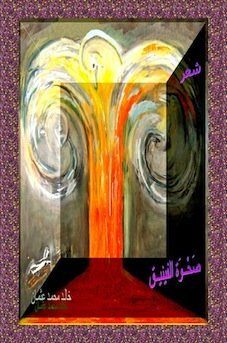 Home Biz Trends: Rising of the Phoenix, selected poetry book, second edition, by journalist and poet Khalid Mohammed Osman. 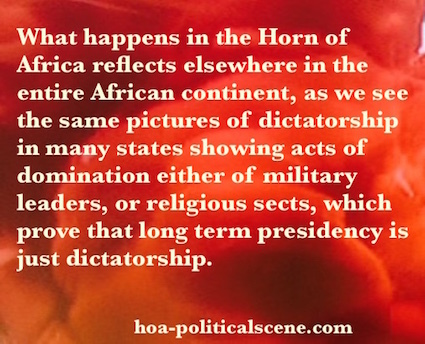 The Political Tragedy of the Horn of Africa, political analyses through history, by journalist and researcher, Khalid Mohammed Osman. Experiences he lived while he was with the Eritrean revolution.